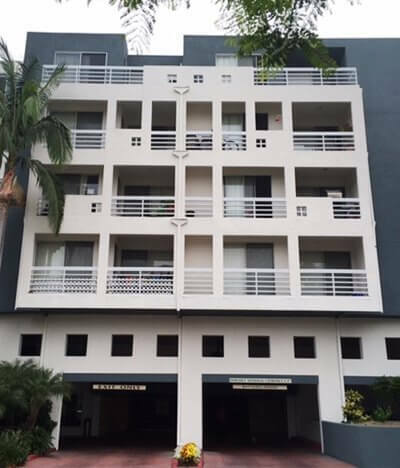 We provide Huntington Beach with the latest, most innovative deck, balcony, stairway, and elevated walkway coating systems – both functional and beautifully decorative. We stain, decoratively coat and texture, and waterproof concrete driveways, patios, walkways, stairways, pool decks, garage floors, fountains, ponds, planter boxes, and other hardscape features, as well as interior and exterior floors. We install roof waterproofing and Title 24 compliant roof coatings, and also provide comprehensive deck maintenance and repair services, and above and below grade waterproofing, in conjunction with our general contracting division, General Contracting Group. 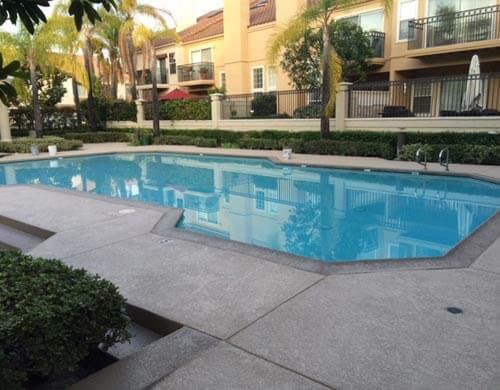 Contact the deck coating and waterproofing experts at Tuff Kote Systems today, Huntington Beach. We provide estimates to all of Orange County and the Greater Los Angeles region, and accept Visa, Mastercard, American Express, and checks. Tuff Kote Systems is licensed, bonded, and insured. and other surfaces. 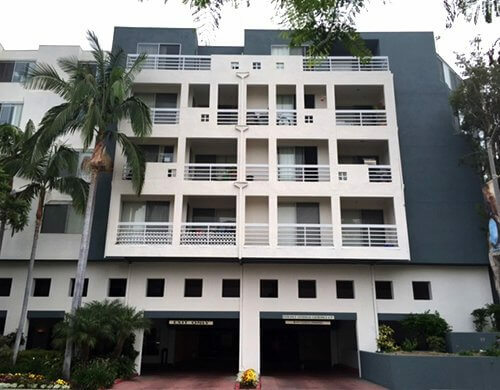 As a full service coating and waterproofing contractor, we are committed to providing our Huntington Beach clients with exceptional quality workmanship, excellent customer service, and premium quality coating and waterproofing systems at very competitive prices. 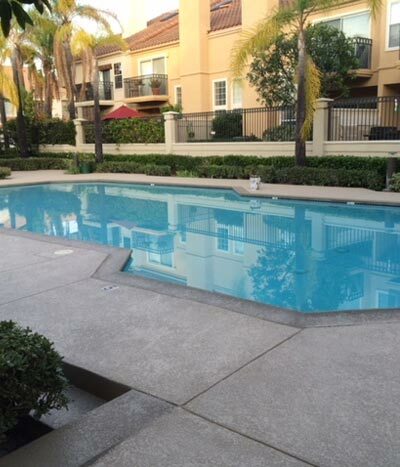 With over 25 years of experience in the waterproofing industry, we are experts at resolving both above grade and below grade moisture problems in Huntington Beach residential and commercial structures. We can waterproof decks, roofing systems, balconies, and elevated walkways, protecting them from leakage and the potential water damage this can cause to adjacent structures. And we can also waterproof hardscape surfaces such as driveways, walkways, planter boxes, patios, pool decks, and ponds, to protect them from stains and soil. In addition, we can pinpoint and remediate below grade moisture problems such as water seepage and water vapor transmission through concrete foundation slabs, footings, and foundation and retaining walls. Groundwater and surface water have deleterious effects on these vital supporting structural members over time, and can lead to concrete spalling, reinforcing steel corrosion, as well as building settling and the subsequent formation of cracks in the structure. 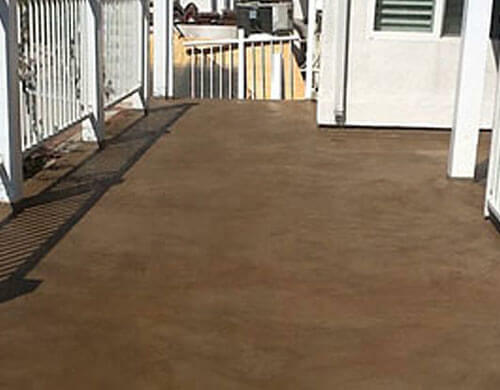 Decorative concrete staining is the ideal way to add design interest to interior and exterior concrete surfaces in Huntington Beach homes and businesses. Interior floors and outdoor hardscape surfaces such as courtyards, patios, pool decks, driveways, and walkways serve as the perfect canvas for concrete staining and dying. Concrete is porous, and allows stains and dyes to permeate its surface and become a permanent part of its structure. Concrete stains and dyes are available in a wide range of colors, and can be applied in a limitless variety of patterns, using many different application techniques to achieve many different design effects. 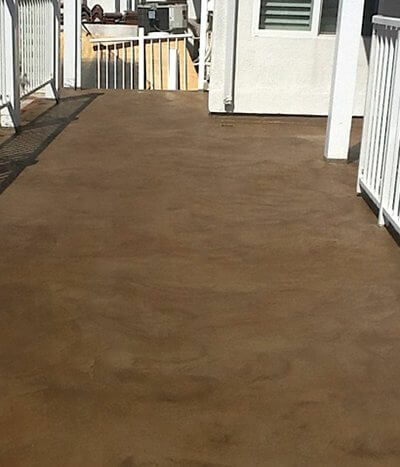 Let the concrete staining experts at Tuff Kote Systems beautify your home or business with our professional concrete staining services. Call us today to schedule an estimate. 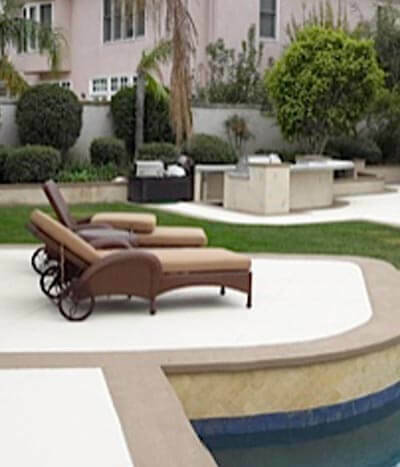 Depend upon Tuff Kote Systems for innovative decorative finishing design and installation in Huntington Beach at competitive prices. Our decorative finishes include smooth, textured, and patterned designs such as orange peel, knockdown, cobblestone, Spanish tile, herringbone tile, brick, granite, marble, and flagstone patterns, and they are available in an extensive selection of colors and color combinations. They are the ideal way to revitalize a worn or weathered interior or exterior floor, deck, balcony, patio, driveway, walkway or other hardscape surface, and are perfect for providing a striking interior or exterior design accent to your home or business. Our decorative finishes are extremely durable, and are also low maintenance. They are formulated to resist mold, mildew, and stains, and are also designed to be slip resistant. They have a Class A fire rating, and are heat resistant. This characteristic helps our decorative finishes to remain cool when installed on surfaces which receive direct sunlight. Rely upon Tuff Kote Systems for deck restoration, repair, and maintenance services in Huntington Beach. Time and weather can have harsh effects on the condition of residential and commercial decks, and at Tuff Kote, we work alongside our general contracting division, General Contracting Group, to repair and refurbish worn or damaged decks, restoring them to like new condition. In addition, we also offer deck cleaning and recoating services. The weathering effects of sun, wind, and rain can seriously damage Huntington Beach decks over time, leading to the formation of deck leaks. And when these deck surfaces are located over residential or commercial structures, serious water damage can result. At Tuff Kote Systems, we can repair water damage to structures underlying decks, replace deck components weakened by dry rot and termite damage, and clean decks of dirt, debris, and mold buildup which can worsen deck weathering. Depend upon the professionals at Tuff Kote, for high quality deck restoration and maintenance services at affordable prices. Call us today. California's Title 24 Energy Efficiency standards require certain roofing systems built over conditioned structures in commerce and industry to adhere to what is defined as "cool roof" standards. Cool roofs are characterized by specific solar reflectance (SR) and thermal emittance (TE) standards. This means that when tested, they rate as having a particular degree of capability to reflect the sun's heat, as well as to emit, or give off, the heat that they do absorb from the rays of the sun. Roofs with high levels of these characteristics help to keep buildings cool in warm weather, reducing the need to use air conditioning, and providing significant savings on cooling bills. At Tuff Kote Systems, our Title 24 compliant roof coatings help Huntington Beach business owners to meet state energy efficiency standards. Call us today in Huntington Beach. 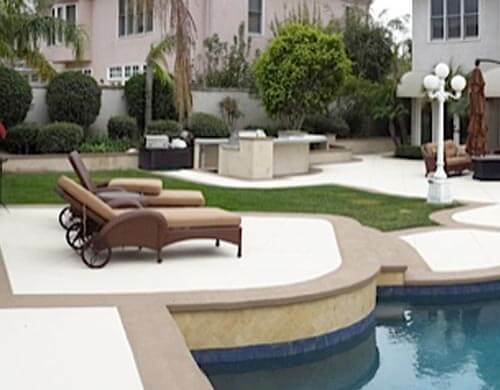 Tuff Kote Systems provides premium quality deck coating and above grade and below grade waterproofing services at competitive prices to residential, commercial, and industrial clients throughout Orange County and the greater Los Angeles region. We provide estimates throughout our service area, and accept Visa, Mastercard, American Express, and checks. Our office hours are Monday through Friday, from 8:00 am to 4:00 pm. Tuff Kote Systems is licensed, bonded, and insured.